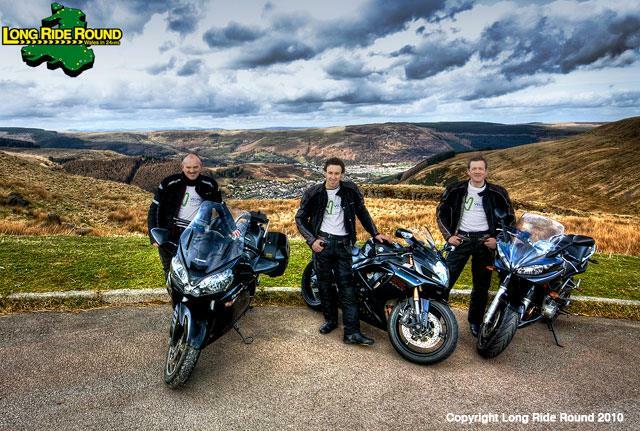 Starting in Swansea on Friday 2nd July 2010, the plan is that myself and 4 mates will ride around the outskirts of Wales (including a loop of Angelsey) in 24 hours to raise as much money as we can for Velindre Cancer Centre in Cardiff. Our target is £1000. Velindre Cancer Centre is the largest non - surgical cancer Hospital in Wales providing Radiotherapy, Chemotherapy and other specialised anti-cancer treatments for over half the people of Wales. They have been providing support and care to cancer patients in South Wales for over 50 years. On average every year Velindre Cancer Centre provides care, treatment and support for over 110,000 out patients and day cases. It is this commitment to high quality care which means that Velindre is widely regarded as being a Centre of Excellence. They have a fully integrated award winning Therapies team which includes Physiotherapy, Occupational Therapy, Dietetics, Speech and Language Therapy, Lymphoedema and Complementary Therapies. Velindre Cancer Centre is the first Cancer Centre in Europe to have a totally integrated service for patients in most need – their Active Support Unit provides the highest standards of care and quality support to palliative care cancer patients. Although this is a Welsh based charity, the ground breaking research work that they do at Velindre doesn’t just benefit the people of Wales but potentially cancer sufferers everywhere. All the guys taking part in the ride have first-hand experience on the effect cancer has. Velindre was the hospital where my partner Anna’s father Ian was cared for before he sadly passed away, and was also where Marc’s mother was successfully treated recently to overcome Thyroid Cancer. All donations are hugely appreciated, even if its a couple of quid that you might have otherwise spent on a pint or two on the weekend. It all makes a difference. *Pictured in the photo (l-r) Gareth Whitton, Phil Isaac, Marc Mahoney.